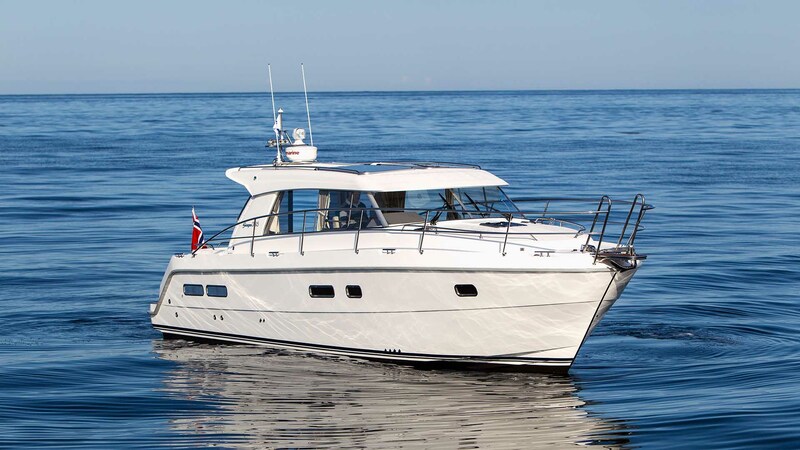 The recently launched 365 model is a true new generation Saga with a fine contemporary take on the traditional values the marque is renowned for. 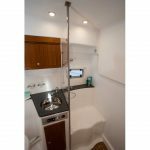 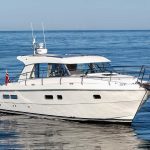 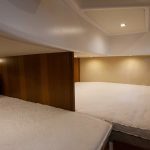 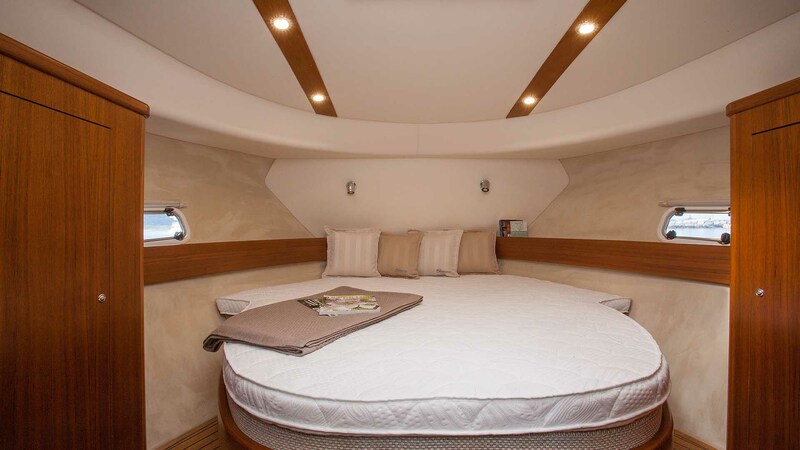 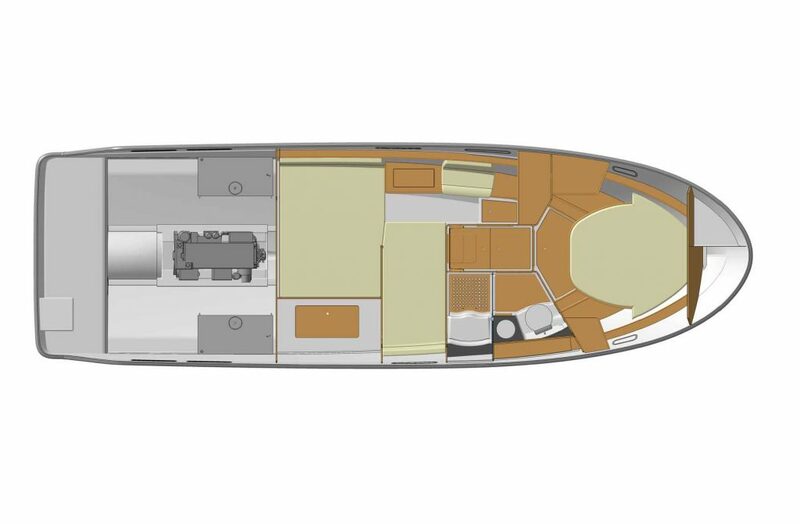 The elegant exterior profile is matched by its luxurious interior fit-out which features a large raised saloon and galley area as well as a comfortable and innovative twin cabin layout below decks. 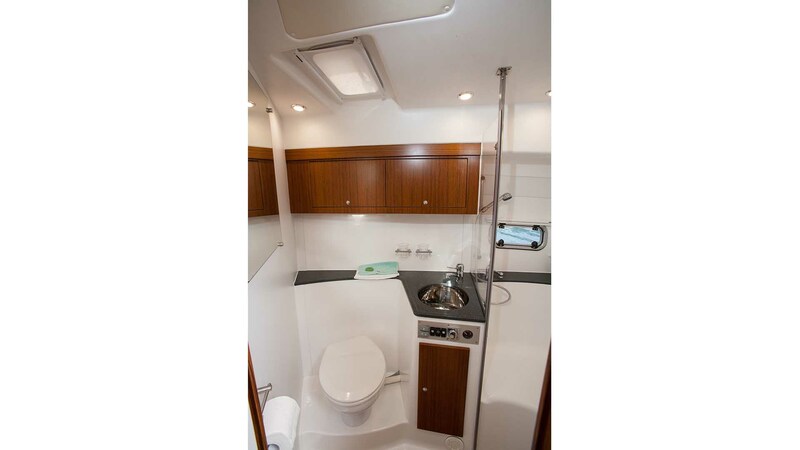 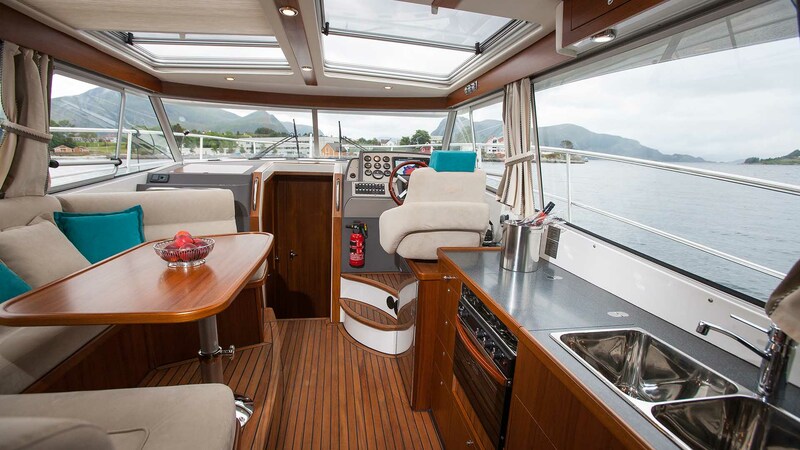 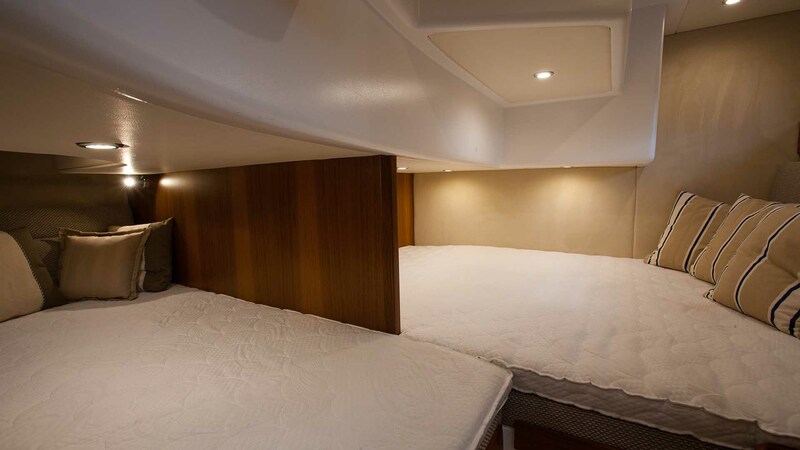 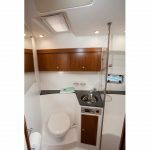 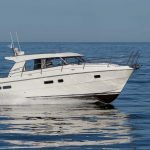 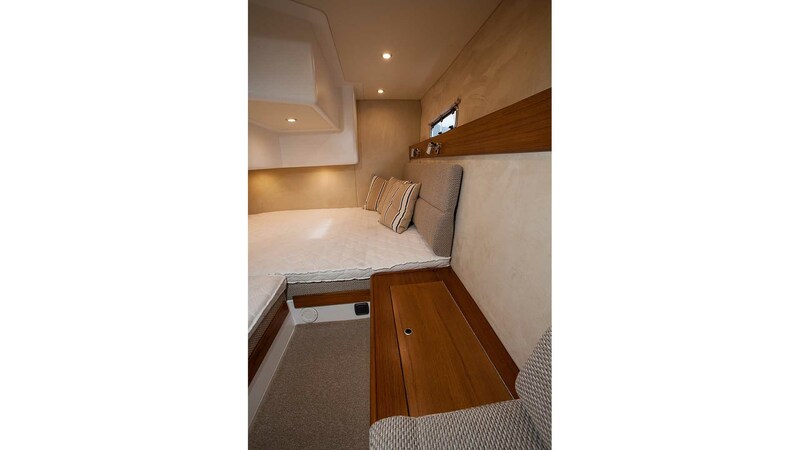 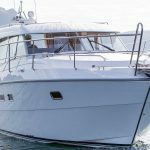 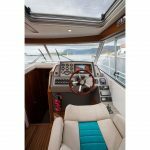 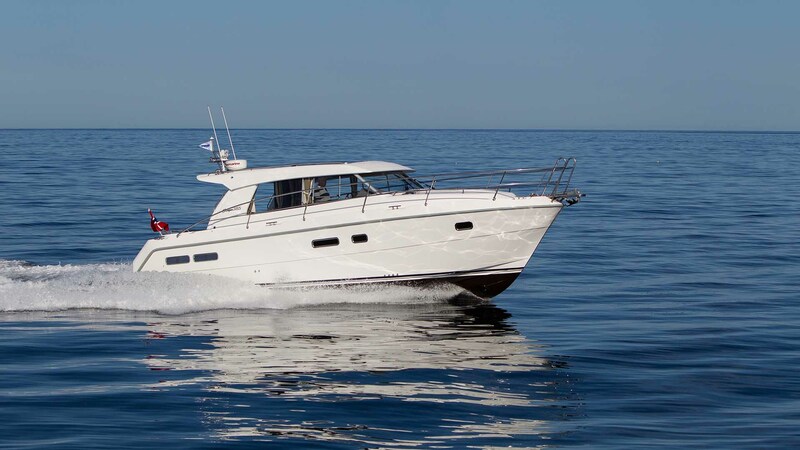 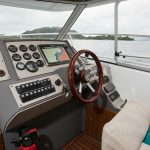 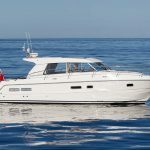 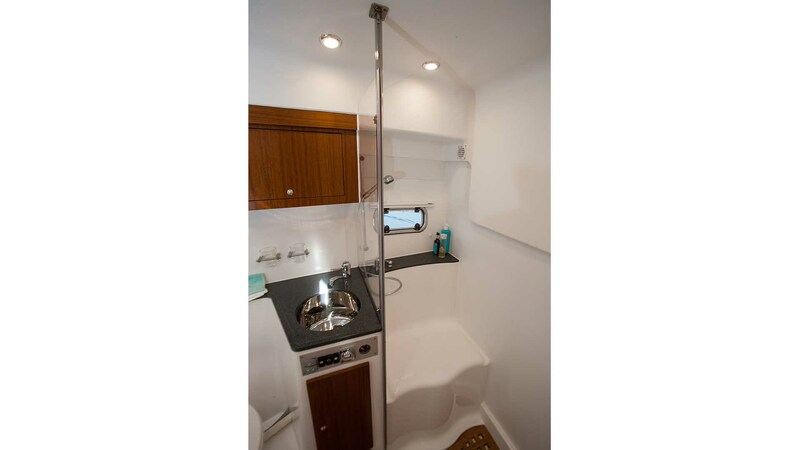 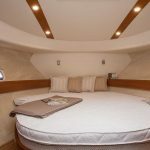 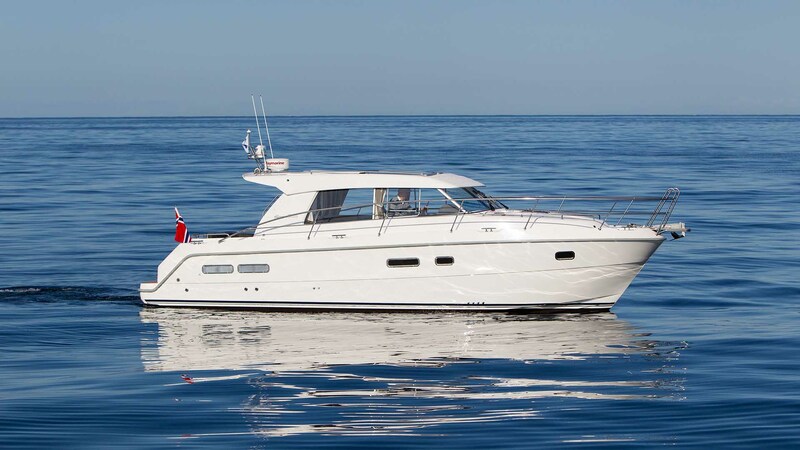 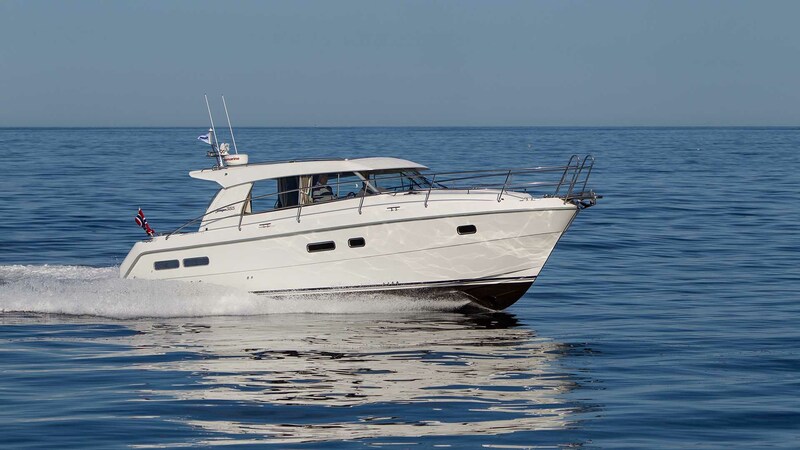 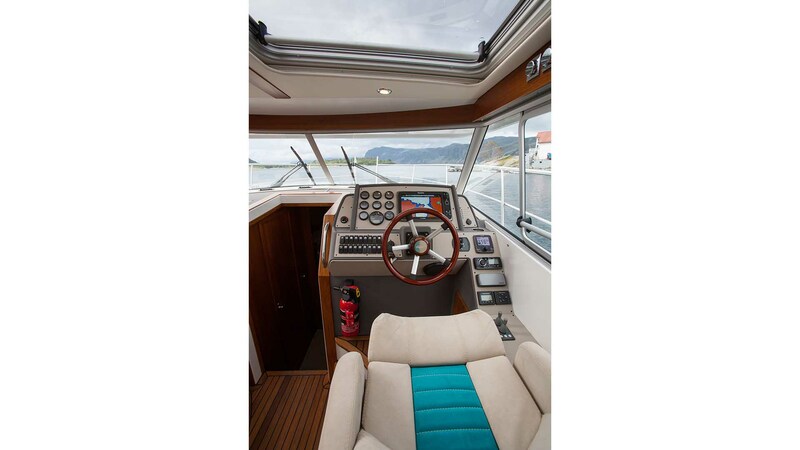 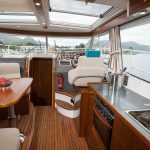 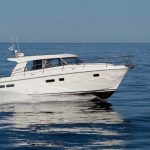 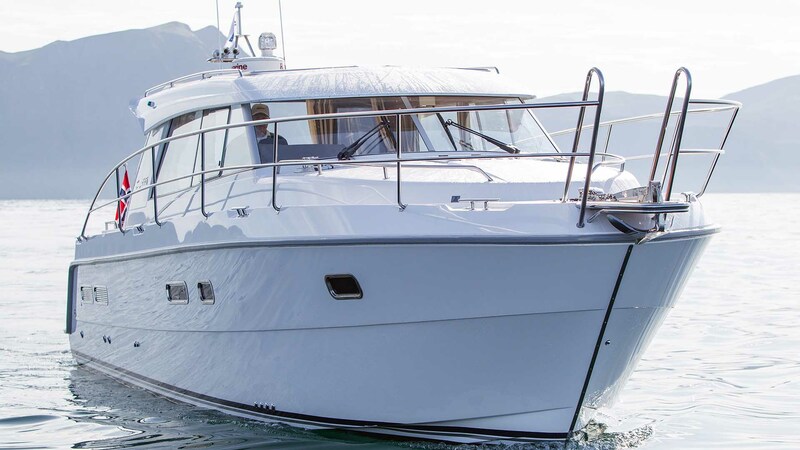 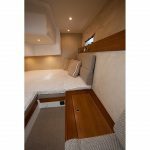 The enclosed cockpit has great versatility with optional sliding roof windows as well as the full width sliding doors on to the aft deck. 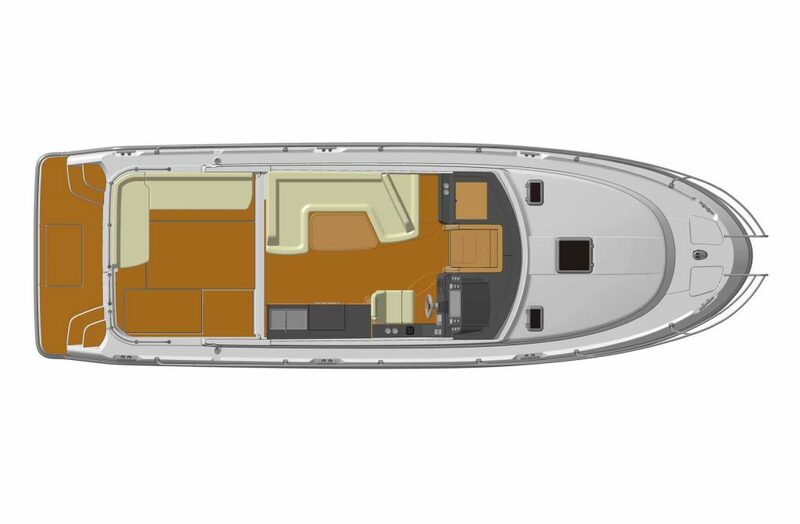 The 365 offers the same traditional semi-planing characteristics and soft ride, as well as the safety of the keel protected sterngear. 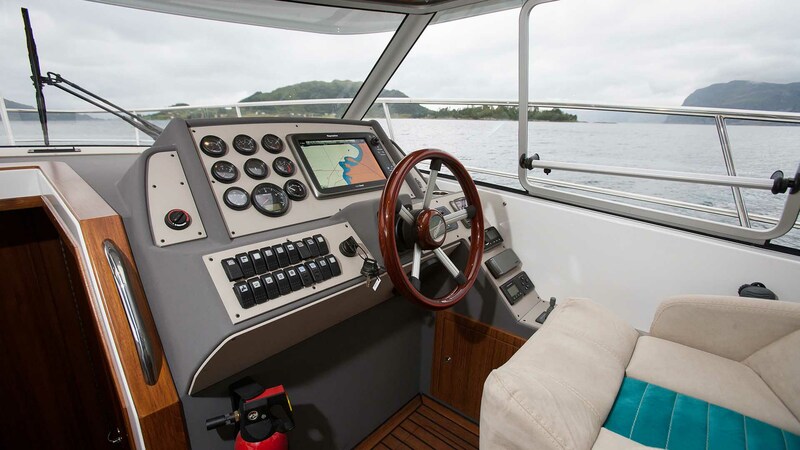 And the single diesel propulsion gives great economical cruising for adventures further afield.